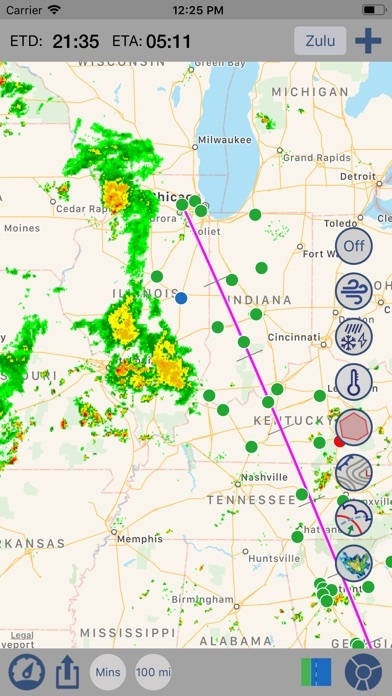 Wx24 Pilot allows to pilots understand a large amount of enroute (and area) weather forecasts and make a quick go/no go decision. 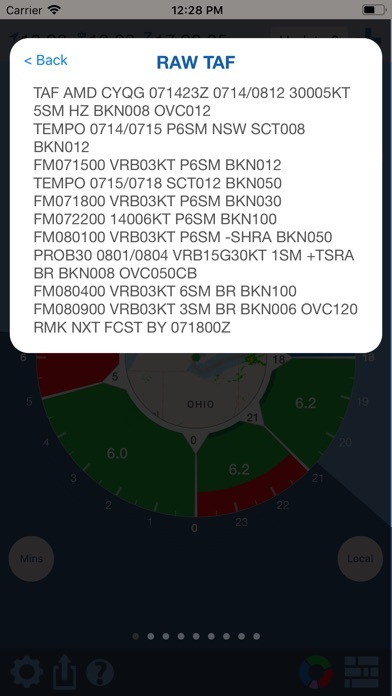 The Wx24 Pilot app represents International Metars, TAFs, & Pireps. USA Data: MOS, LAMP, NDFD, airmets, sigmets, TFRs, radar, prognosis, forecast temperature, dew point spread, and cloud cover. 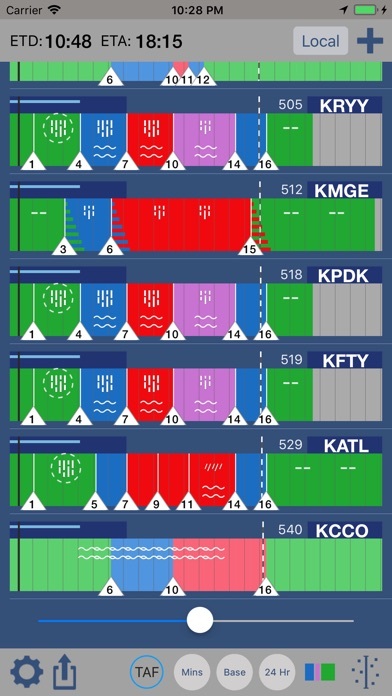 Wx24 Pilot provides weather forecast for most of the smallest US airports. Two week trial period. Monthly and annual subscriptions. I can only find the FREE version of WX24 Pilot. How do I acquire the PAID version? I’ve been using this app for a couple of years and really like it. Didn’t mind paying twelve bucks or so but $45 now? Forget it, you lost me. Good luck with your new business model. Hey. I’m not a pilot, but I am a photographer. I use the cloud coverage feature to help plan my natural light shoots and I love it. Very accurate. Most phenomenal aviation app...a must have for ANY pilot, student, sport, private, commercial...virtually anyone who pursues aviation. There is no better weather product even close. The visual design of ALL pertinent weather information is like the advance from a DOS operating system of old, to the graphical user interface that drives all computers today. I MUST add that the support help is beyond GREAT and very timely. My question was answered immediately by the developer- even over the weekend. No waiting for superb help. A great app and a great response team. Developer Engaged. Had a problem with my installation. Developer responded personally and helped me fix it. Excellent. 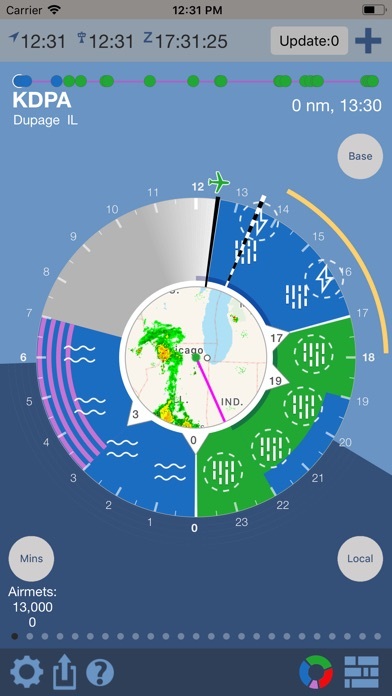 The best aviation weather app available. Hands down the best aviation weather app I’ve used. It is easy to quickly see the weather I can expect to be flying into and adjust my departure time accordingly if needed. It has reduced my preflight planning time significantly so I can spend more time doing what I love. The personal minimums is an amazing tool to use when you first start out flying and then change as your skill level increases. Also, being the geek that I am, this app is super useful on road trips. My last motorcycle ride was much more enjoyable when I could plan it around the expected rain. Couldn't retain my airplane settings. Couldn't add my personal minimums. Not ready for prime time! Poor design, no clear settings menu or screen. 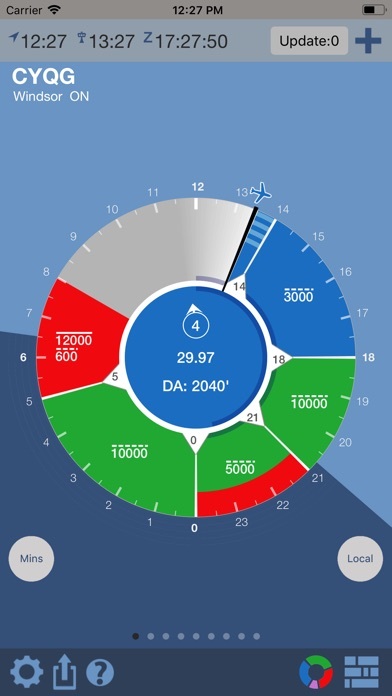 This app save me so much time in flight planning and helps me make better decisions. I know 24 hours in advance when my best window is for my flight. I know know in minutes if I should leave today or wait a few hours or even a day. Great app!! After a little study, app provides an excellent visual presentation of METAR and TAF information for local and x/c flying. Saves time by minimizing conversion process dealing with multiple airport locations. This is a great app for long cross-country flights. It makes it easy to see the best time to fly to avoid potential weather issues developing miles from your position, such as fog forming or dissipating, thunderstorms developing, and even ceilings. Saves a lot of time having to research prog charts.